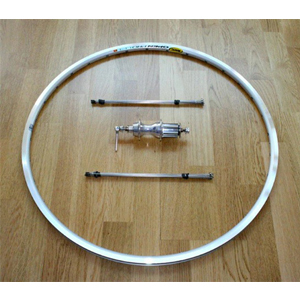 Below is a photographic illustration of a front and rear wheel build showing the individual components at the beginning through to the finished wheel at the end. 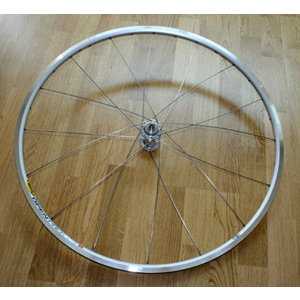 In addition there are also photographs of some customer mountain bike wheels. Front wheel build components Close-up. Front wheel build, right side laced. Front wheel build lacing complete.